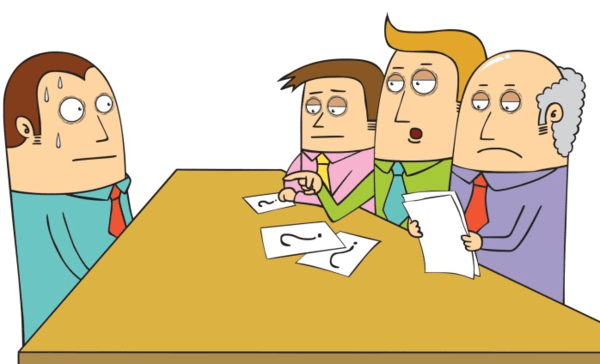 Have you ever been in a job interview? Do you recognize the nervous feeling of waiting to be interviewed; palms sweating and heart beating fast? Or have you ever been turned down, even though you thought the interview went well? This course is for anyone planning to apply for a job/promotion in future. What type of information the interviewer is interested in. How to prepare answers for tough questions. How to appear confident in a challenging situation. What Kind of Information is the Interviewer Interested in? God bless you... A good job..
Good tips thanx alot fuzu. I can say confidentally that am ready for a job interview. Thank you so much,I missed a job because of"why you left your previous job" it was hard.I know what to say. I would suggest you develop fuzu app. so educating and equipping for real hunting. big up! Thanks for the information, know it will be of help in the long run. These are great pieces of information. Highly appreciated. good,thank you.please assist me and me any job,please am Diploma hold in area of HR. Please am Poor lady from ukamban being with no parents. Thank you Fuzu.hve learnt alot. Thankyou very much Fuzu.. Iam already an informed person now. Thanks team Fuzu. This is so informative. Very nice site touching on the exact interview questions .It has help me increase my knowledge two fold.Thanks for your overwhelming generosity. Very relevant and useful information, perhaps you could also put the information in hard copy for those who love to read. Thank you very much. It contains lots of useful tips. Thank you. it is interesting how the little details concerning one's body language can make a big difference. thank you so much. Where is the certificate of completion of study. Thank you Fuzu for this informative resource. It was a great deal of helpful points. Kindly check on the last clip it seems you tube has removed it for copy right issues. Thank you so much Fuzu, I have learnt a lot and sure of getting a job in my next interview. where are you located in nairobi? Thank you so much. I have learnt a lot. I tested and they play just fine over here. Perhaps you can make use of a Cyber to take the course.